You are at:Home»Featured»NETIZEN CLAIMS SCAMMER TOOK THE FURNITURE FROM DONATION AND SOLD THEM OFF FOR A HIGH PRICE! More scammers on the loose……. Freevo nation and Free loved furnitures are scammers. 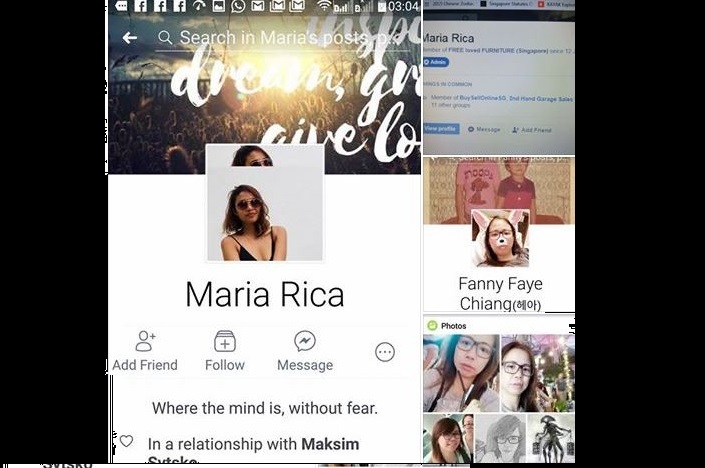 The owner of the pages is a pinoy with a couple of admin. Furnitures are offered for free by expatriates or those moving houses. These were vetted before putting on the page for free with the condition that only their movers are used. Quotations are often 50% above market rates claiming that their movers are very professional. They are merely doing recycling and help to coordinate. If the items are good, there will be many requests and often that one item is offered to many with higher price tag of movers. I suspect they earn a commission or their own people. Then on the day itself, those who are offered the item will receive a call to say the movers are asking for more money due to items being heavy or branded and rather new or whatever……. those who reject paying more will be made to wait with a ton of excuses like long traffic jam, heavy rainfall (when check there is none), absent answers and unreacheable calls and finally vehicle breakdown they cannot deliver. However, they will offer a better one next week. This one just disappeared. So, it is obvious they are working in cahoots with their so-called professional movers to cheat those who wanted the furnitures. The good items are probably carted off to a warehouse to be sold or to the highest paid takers. If every takers cough out $20 – $80 more to the movers they quoted plus extra, they would have made $200 – $800 for every 10 transfer and there are many deliveries in a day as claim by their admin. These are FREE furnitures offered by blessers. All they did was only to coordinate the movers and takers. Isn’t it scamming public in the name of helping the public and doing recycling? Please stop supporting scammers page. There are many pages online where you can buy 2nd hand n cheaper than their moving charges. Previous ArticleMOTORCYCLE GET STOLEN AT YISHUN CARPARK PLEASE HELP TO SHARE AND KEEP A LOOKOUT FOR IT! Next Article 1 FOR 1 AT STARBUCKS FOR AlL VENTI SIZED DRINK FROM 26 FEB- 2 MAR 3-7PM! SHARE AND TAG YOUR FRIENDS!